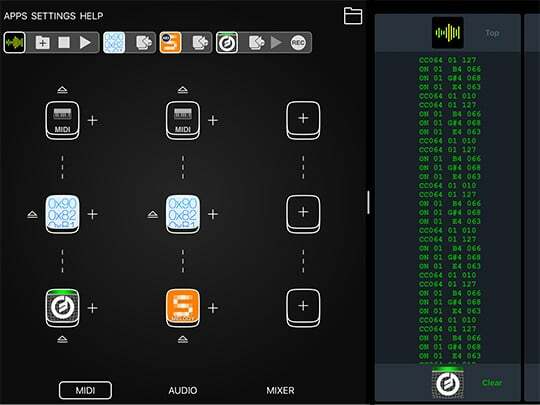 Do you want to see what MIDI is doing in your Audiobus setup? 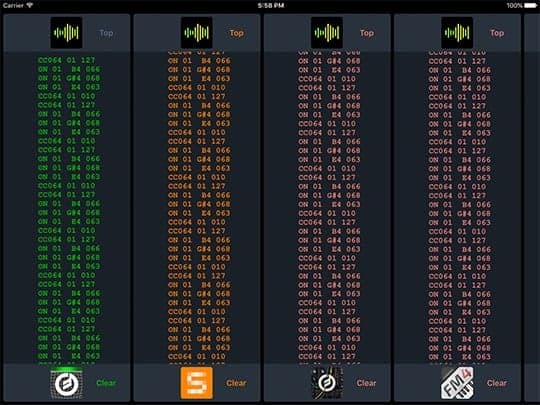 Just add Midiflow Monitor into one or more MIDI effect ports and the app will print what is going through. This can help you find problems or just understand how MIDI works. This app is a must-have and available for free.